Shopify is by far the best thing that has happened to e-commerce businesses. This robust tool is useful in more ways than one and today we will be discussing things that you should be well versed with before setting up your Shopify Store. Normally this seems like a seamless progression, but having everything in order before making your store go live can lead to either success or failure in your online business web venture. Most of us often miss out the tiny details which results in big time goof ups over a considerable amount of time. Keeping this in mind we have listed down top 7 things that you should keep in mind so that working with Shopify does not become a daunting task for you. However, these things should be done before you go live with Shopify. This is the most important and all for the right reasons. If you do not have your payment gateway, then there won’t be any sales period or cycles. You will have to make sure that the payment gateway is not just setup but is also connected to your b ank account or for that matter any other account and that too appropriately. Before you go live (typically before one week of going live) try and place a test order to check whether you are receiving the payments in the correct bank account as listed. This will give you a sense of satisfaction that things are in place and in case there is any flaw then you have time to mend things up. 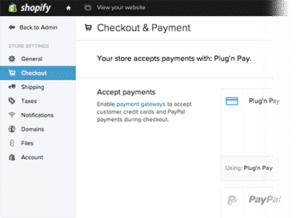 Not just one but multiple payment gateways Integration are supported by Shopify so you can choose depending on your choice. Shipping and Fulfillment are another serious procedure for any online store who are not selling technical or digital products. You need to ensure that there is a strategy in place so that the fulfillment procedure is seamless and streamlined. SMBs who have just started off with Shopify might tend to ignore this at times however strategy is something that no business can ever or should ever avoid. When we talk about strategy we mean the minimum strategy required for delivering the products to your end users without any delay. If you have a really high shipping time, then consider the fact that your customer will not be very happy. The reason is that shipping time is one factor on which your customer will bank his trust upon you and continue business with you in future. SEO or Search Engine Optimization and SEM or Search Engine Marketing are two things that cannot be avoided in e-commerce business. You should entirely use it when you’ve launched the new e-commerce business. It is important for you to create and be active on social media before you launch your store. This is the first and foremost step in branding and getting recognized on social media. The social media accounts should reflect your brand image in a way that when customer visit your e-commerce store they can easily connect. If you are transferring an in-effect shop to Shopify you need to understand that the URLs to your existing pages will also alter and this will lead to a drop in the number of hits that you get till the time everything is updated by the search engines such as Google, Bing, and other search engines. There has to be some commendable effort from your side to make your website as SEO friendly as possible because this will timely transition. One of the most important step to get your Shopify store well recognized on Google and other search engines is the sitemap submission. 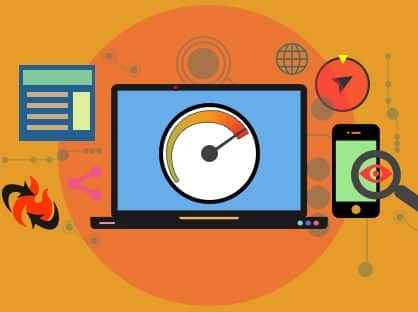 This step is also in sync with the SEO and SEM technique. The best part of Shopify is that it will create an auto-updated sitemap for all sites which are listed on their platform. To check out your sitemap you will have to use a link which looks like this www.edata4you.com/sitemap.xml. This map will help Google and different other search engines to trace and file all your products, blog, and content pages. Although Shopify will do this step for you automatically however you will have to make sure that you submit it to Google on your own. To understand this procedure better you can check out this article from Shopify. This is the primary step because if you do not have a suitable domain setup your page is just not relevant. It is important to do this first because it will help in mapping your website to your shop in Shopify appropriately. Shopify makes this procedure seamless. All you have to do is to add a CNAME entry to your domain in their server. After that you will add the domain and Shopify will catch the access to that domain and thereby redirecting the traffic to your shop. To learn more about this feature you can check out this article from Shopify. To display your pages on search engines after user searches with relevant keywords, Meta tags play a very vital role. The irony is a lot of us would have seen these Meta Tags but would have always ignored them. While searching on Google you will see the blue hyperlinked title of the page. This comes from Meta Tags of the page. The description that you see is fetched from the description Meta field. This also helps in finding out the keywords and helps in ranking your webpage on Google. So, next time when you are searching on Google or any other search engine you should note the keywords will be in bold in the title and descriptions. Meta tags play an important role in ranking the results that we see on search engines. Accurate Meta tag management will itself ensure search engine presence at the same time ranking your website better than your competitors. We are living in a digital era and customers visit your website not only via laptop but also from different other devices. Now this has its own disadvantages because some of your customers will see your website perfect and others might come across some bugs. 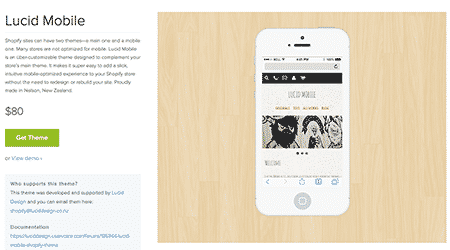 Keeping this in mind Shopify provides you responsive themes. This ensures that the user experience is consistent and pleasurable. To make this possible you will have to use a responsive checker tool which will help you to check what all the devices will display when any customer visits your page. In case you are planning on designing a Shopify Theme then we suggest that you should use Bootstrap. You always have an option of buying a ready-made theme from the theme store of Shopify and thereby customize it basis your requirements. So, these were the 7 important things that you should know about before starting off your shop on Shopify. Feel free to comment and let us know about your first-time experience with Shopify.